Europe is presently faced with an extremely difficult and complex situation today: Political and financial instability in many nation-states, the aftermath of a number of terrorist attacks, and the political rhetoric and public discourse on refugees and migrants is fuelling fear, anxiety and resentment within communities, leading to minorities being targeted. It is now more important than ever to challenge a narrative in which refugees, migrants and minorities are a danger to European society, to act against hate, and to work towards a diverse and inclusive Europe. Youth and voluntary work have the potential to make a difference: To change mind-sets, remind people that the answer to our problems is solidarity, and not division, and to create awareness of populist narratives versus the facts of migration. Likewise, the need of the hour is the integration of refugees and support to local NGOs working with refugees. 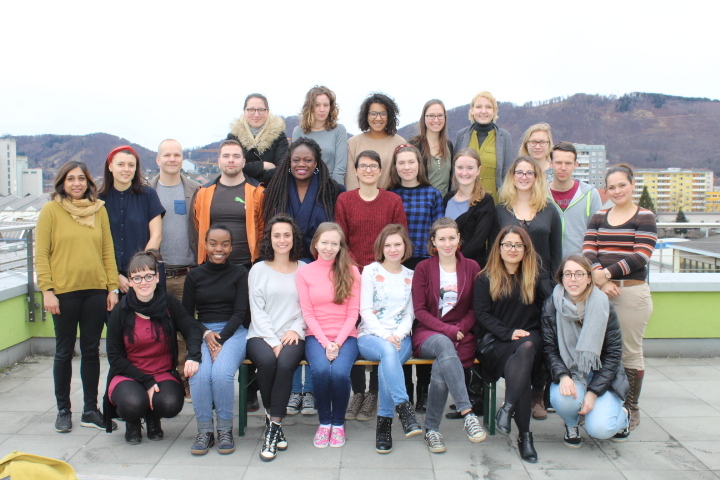 The 5-day training Youth Work Can Unite: Merging Parallel Realities in Europe, which took place in Graz, Austria from February 22 – 26, 2017 brought together 25 youth workers from 13 countries (Austria, Denmark, Finland, France, Germany, Iceland, Italy, Netherlands, Poland, Russia, Slovakia, Switzerland, UK). It provided anti-racism training and served to develop an action plan to support refugees and NGOs working with refuges, as well as identifying partners, and networking possibilities at the EU level. ‘UNITED for Intercultural Action, European Network against nationalism, racism, fascism and in support of migrants and refugees’ partnered in the project and provided valuable information on the situation of refugees and the rise of hate speech across Europe. The project has been funded by the European Union’s Erasmus+ Key Action 1 Programme and organised by Grenzenlos Interkultureller Austausch – ICYE Austria with the support of the ICYE International Office. Read the Final Activity Report- Graz Austria February 2017.